Come to Needle, Ink, and Thread to make this adorable felt plush with me! Come to Needle, Ink, and Thread to make this adorable felt plush with me! Each month I will create a new super cute creation for us to stitch, you will get a kit with all the supplies needed! Bring a snack and some friends for a different experience for hanging out something fun and creative! Just remember all that come must purchase a spot in the class. If your child wants to join in the fun and they are under the age of 8; you must register for both of you. You will need to stay and create with them for this event everyone that comes gets a kit to make their own. This is a bit more of an informal class, therefore I float around everyone at their own speed. Maybe just have some have questions. I want this to be a fun memory and experience for you all! 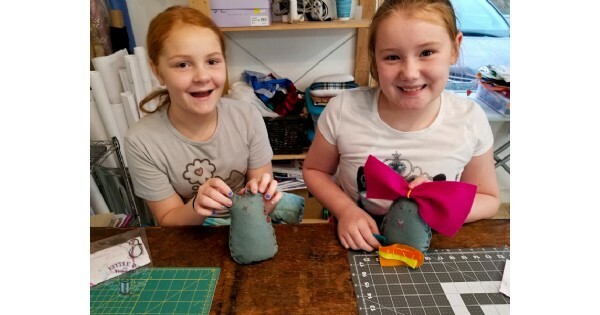 Find more events like "Plushie Workshops - Different monthly creations"
Needle Ink and Thread is a sewing studio that holds private lessons, group classes, workshops, birthday parties, does alterations, charity drives and so much more!